The latest chapter of The Witching Hour crossover has seen Wonder Woman and her allies in Justice League Dark joining forces with her most powerful enemy - the sorceress Circe. Given Circe's long-standing grudge against the Amazons and Diana, it would take extraordinary circumstances for her to put aside her legendary spite for a common goal. Of course with magic itself dying in DC's Universe, describing the current circumstances as "extraordinary" is putting things lightly. Based on the character from Greek mythology, the DC Comics version of Circe first appeared in Wonder Woman #37 in 1949. The precise reasons for Circe's hatred of The Amazons and Wonder Woman have changed several times over the years, but the most common reasons are that The Amazons were responsible for imprisoning Circe for her crimes against humanity and that a prophecy predicted that Circe's doom would be brought about by the Amazon princess. Though she first appeared during the Golden Age of Comics, it was not until George Perez's revamp of Wonder Woman in 1987 that Circe was redeveloped into a major player in Princess Diana's Rogues' Gallery. It is a position of dishonor she has held ever since. 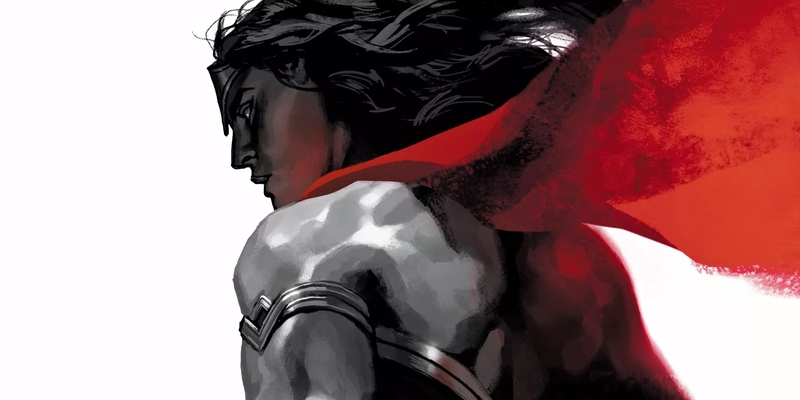 The first chapter of The Witching Hour revealed that Wonder Woman was a conduit for hereto unknown magic powers - the result of her having been branded as a child by followers of Hectate, the Ancient Greek goddess of Magic. With Zatanna having discovered the meaning of the magical brand, Justice League Dark was able to start seeking answers as to what was happening to Wonder Woman and why. This led them to Aeaea - the island home of Circe, according to The Odyssey. It was hoped that Circe, who drew her powers from a connection to Hectate, might know something of what was going on and be willing to bargain for that knowledge. Though she was hostile at first, Circe was mollified the moment she saw what she called "the witchmark" on Diana's forehead. Circe went on to explain the history of Hectate and how she was truly a power far older than the Olympian gods. The first wizards tried to tap Hectate's power for their own uses unsuccessfully, caging a far more evil source of power that would come to slowly infect the world, and Hectate herself, with darkness. This led Hectate to take the majority of her power and split it among five mortal vessels, The Witchmarked, who would hold Hectate's pure and unsullied essence until a time when the magic of the rising darkness had begun to fade. Then Hectate would reclaim her power to defeat it, once and for all. As each of The Witchmarked died, the followers of Hectate would find another woman to hold Hectate's power, passing her energy down from generation to generation. The problem, Circe reveals, is that the passing years have corrupted Hectate's mind and she is now a being born of spite and hatred rather than love and light and it was that desire for revenge that made Circe into a perfect avatar for Hectate's power. The practical upshot is that while Hectate may be capable of fighting the rising darkness, she will forever destroy magic as it is known on Earth, with no magical power but her's existing. This leaves Justice League Dark with few good options, as Wonder Woman seems doomed to die no matter what and the best option involves all magic being under the control of a single vengeful goddess. Of course all this assumes that Circe is telling the truth and this isn't part of her own plan for revenge on Diana. Wonder Woman #56 is now available from DC Comics.